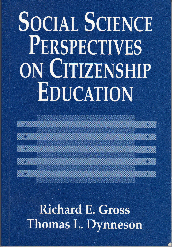 Citizenship training in American education continues to be based upon the yearning for a better society, a society that requires a commitment to educate youth to support the democratic way of life, which is based on specific and identifiable moral and ethical behaviors. To survive, democracies must be built on sound moral and ethical principles, including those of fair play, moral conduct, and the rejection of extremism, except in the defense of democracy. Citizenship education has long been the basic societal means whereby each new generation of youth is expected to acquire the knowledge, skills, and values needed to maintain and perpetuate the republic.